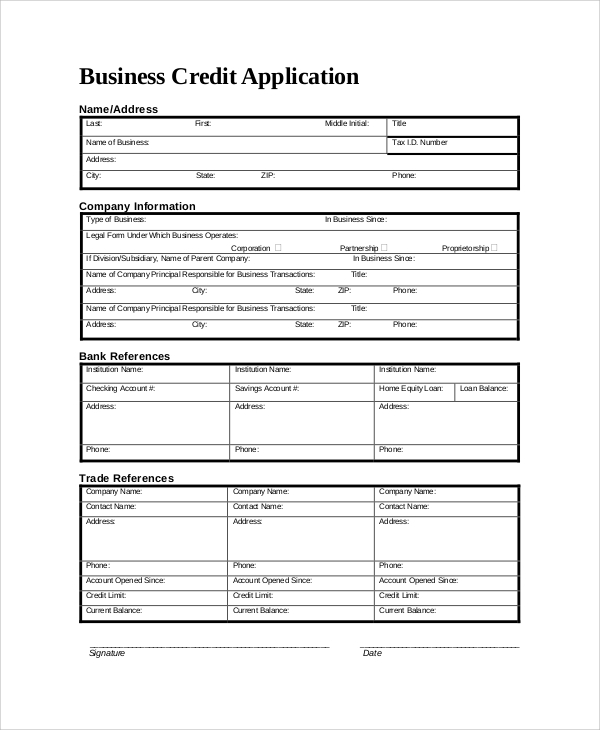 Business credit application form is mandatory for any business organization or firm while opting for a loan from any bank. 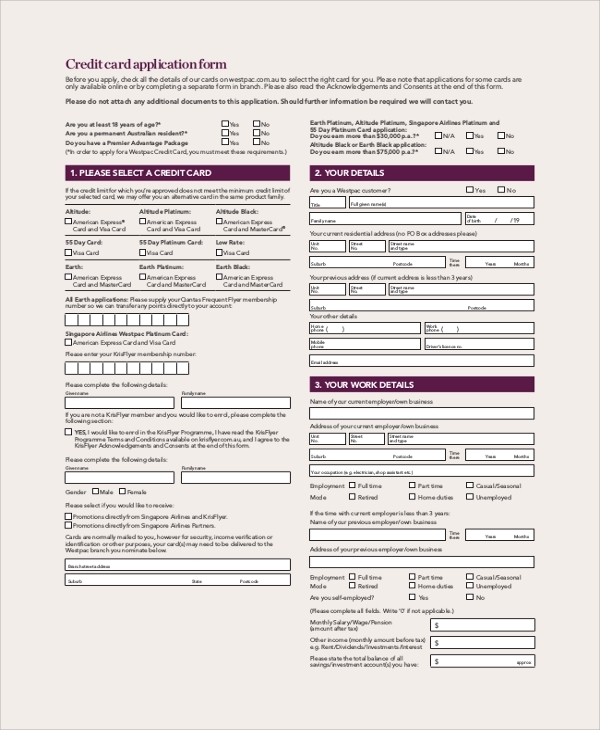 A business credit application form contains personal details of the person representing the company, complete company details, bank references as well as trade references. Depending on the information and the data in the form, the bank or the loan lending firm will decide the amount of money that can be lent and the conditions for returning the money in due time. 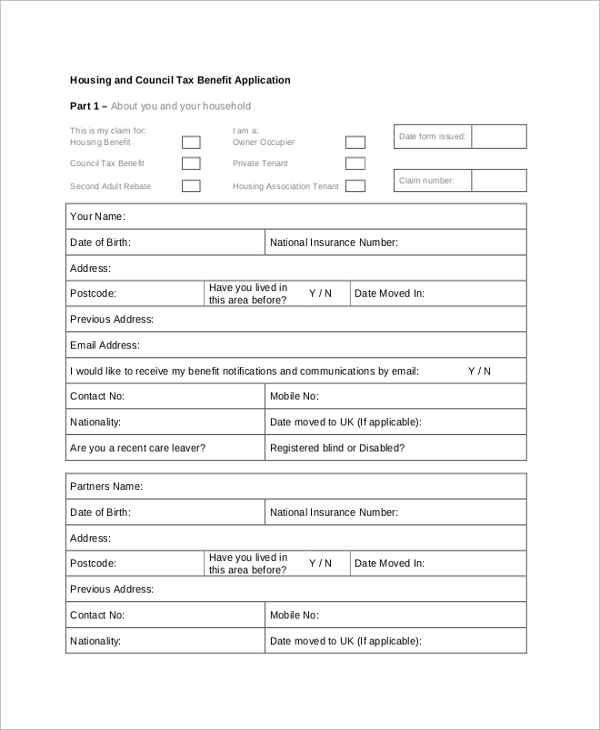 It is a complete application form for the tax credit purpose. It contains provisions such as personal data of the person applying for the credit, his account details, proof and agreement, a questionnaire to determine the amount of tax credit the person is eligible for and other necessary statements for acknowledgment. 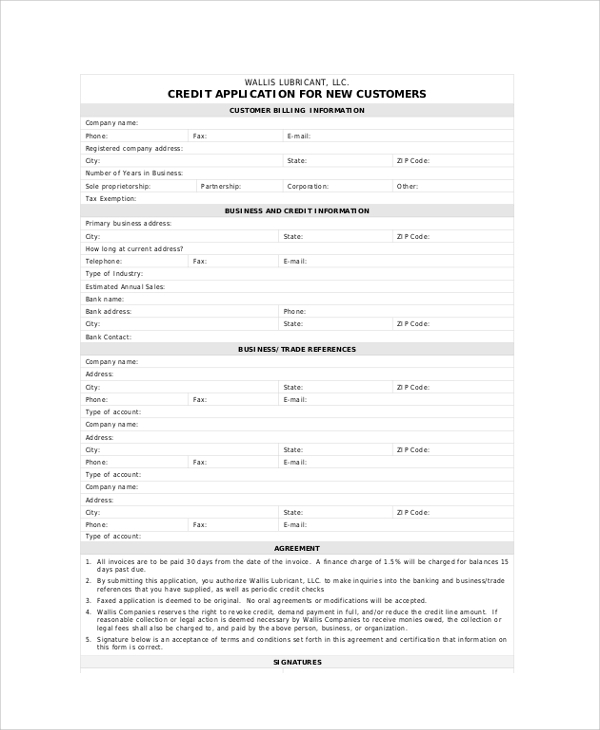 This is a customer credit application form that is applicable to any business. It is a deal between a customer and the service or product providing company. The customer agrees to pay the credit off in due time or else he is subjected to different financial charges. It contains provisions for billing information, business data, references and other credit related data. It also states the conditions clearly in case the payment gets delayed. It has a guarantee statement from the customer on breaching which he can be legally charged. 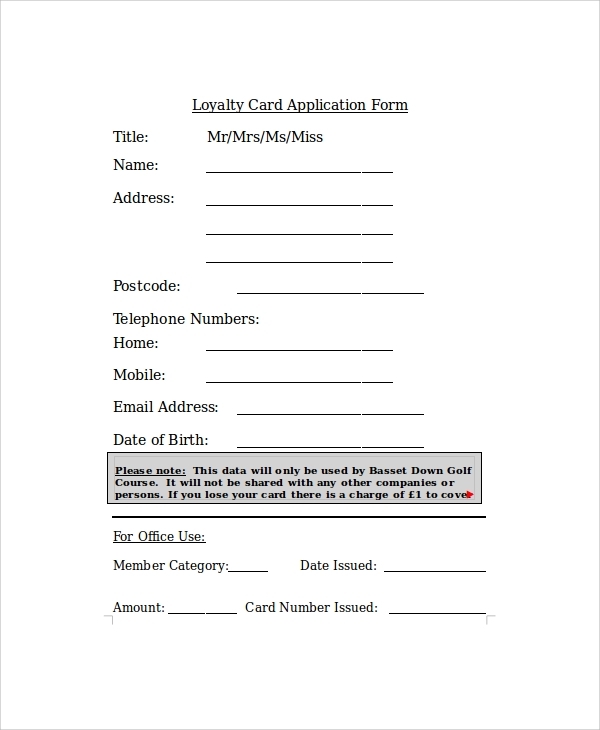 This is an application form that is used while applying for a credit card. Credit cards are useful for any business to draw money as per need and return them in due time. Applying for a credit card requires various data and information such as the details of the person applying for it, his work and profession, the type of credit card he wants to apply for, his monthly income, and the limit of the credit card and other official statements. 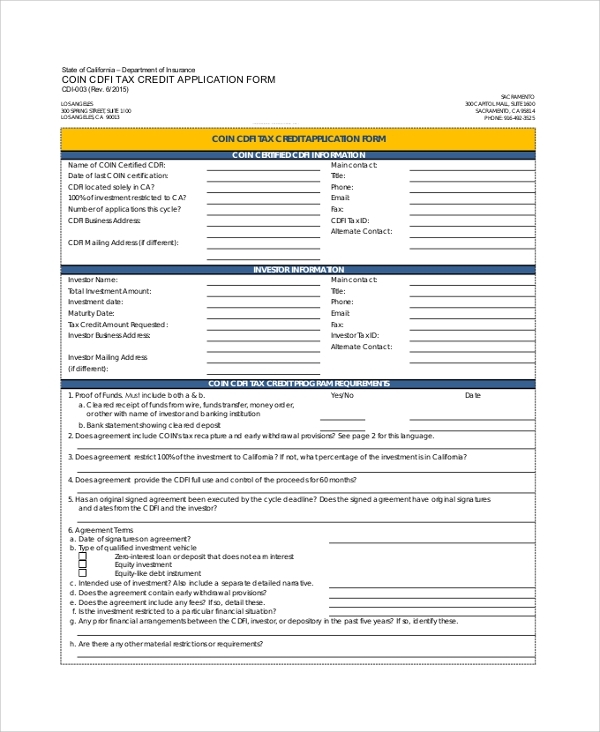 Sample Credit Application Forms are useful for customers and companies willing to apply for loan or credit cards. Such forms have provisions such as personal details, company information, references, monthly incomes and most importantly the terms and conditions that the customer must be aware of. Depending on such information, a bank or financial institute determines how much amount the company is asking for and how much can be lent and what should be the conditions. It is convenient for both the customers and the institutions as it helps in faster processing and evaluation with transparency. The targeted audience for such credit application forms are the potential clients and customers who are willing to apply for loans or credit cards or even tax credit. Such clients and customers can be common people, any individual, a group of people or even a company. Then the banks and financial institutes become the targeted audience when the customers fill the form up and file for the loan. It helps them in faster evaluation and sanction of the money with proper condition based on different criteria of evaluation. 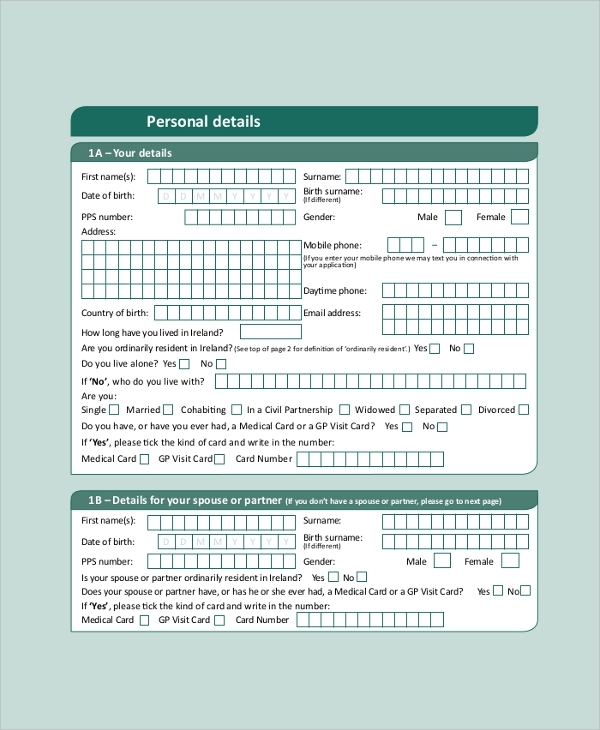 The benefits of such Sample Application Forms are immense. They act as a database for the financial institutions and such forms also contain the details of terms and conditions. They can be used as a legal document and produced in the court in case the borrower breaches the contract. They contain all the fields that a client needs to fill for availing the loan. Depending on such information, a bank can choose to verify them and then decide the amount that can be lent to the person and the conditions for returning the money. 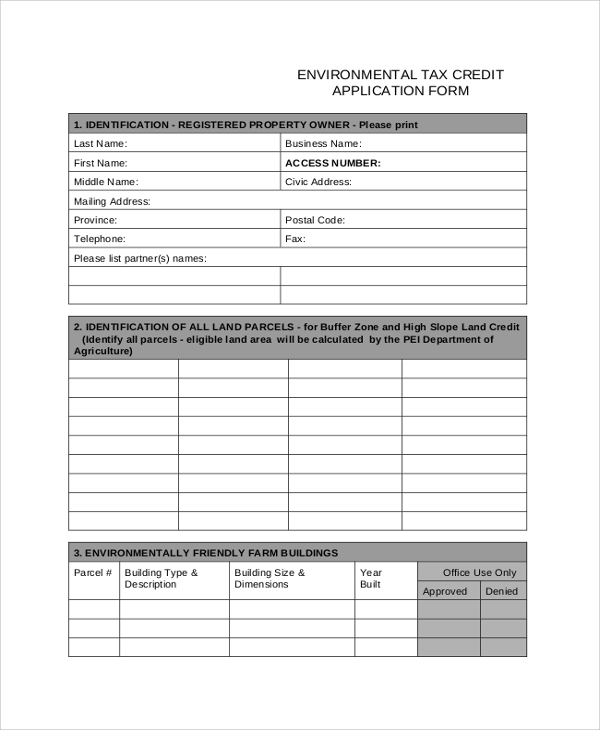 The sample credit application forms listed above are blank forms which are useful for banks and financial institutions because those forms can be filled by the customers who are willing to apply for credit. 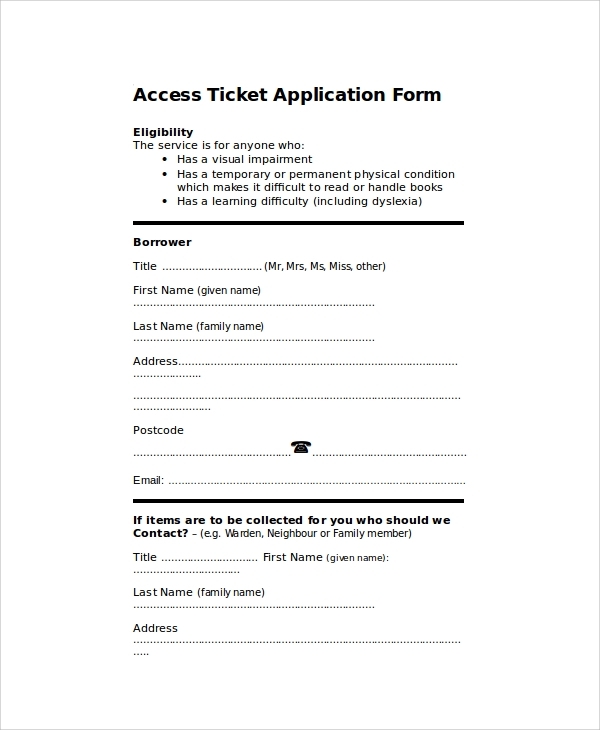 The details on such forms go to the database for future usage. The conditions and other hidden terms are clearly specified in such forms for transparency.